On this episode, Ben and Zac dive straight into the newly released Marvel Netlflix series "The Defenders". 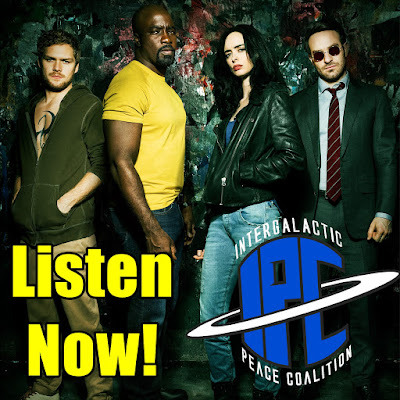 Listen for their spoilers free thoughts off the top of the show, and stick around as they break down various aspects of the long awaited series and how it managed to tie together the stories and characters of Daredevil, Jessica Jones, Luke Cage, and Iron Fist. They discuss their many likes, and their few gripes with the Defenders, and how they rank it with the other series. Plus, could Spider-Man be a Defender? Which finger is Alexandria? And is Iron Fist really that stupid? Listen for all this and much more!